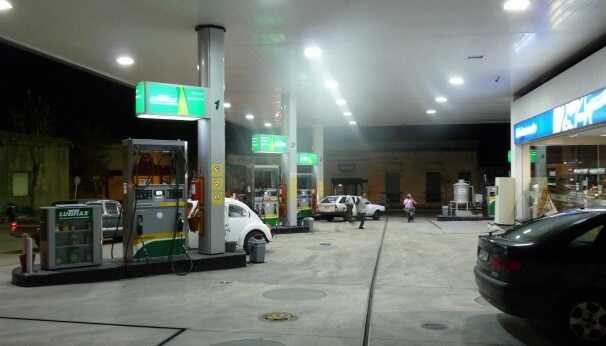 Our best led canopy lights allow your customers to easily find your convenience store and freely spend their money at your clean and well maintained gas station. Customers will feel safe because your CREE LED Canopy Lights, LED Parking Lot Lights are turning the dark night into daylight. CREE LED lights are the best led canopy lights offered anywhere. The CREE fixtures boast a modern design which looks very clean and will reduce your electric bill by up to 70%! LED lighting will pay for itself very quickly through reduced electric bills, reduced maintenance costs as well as increased sales. 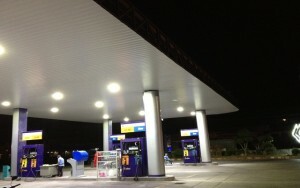 We provide a wide variety of lighting solutions including LED canopy lights for gas stations, LED High bay lighting for your shop or store LED parking lot lights and other LED lighting solutions. 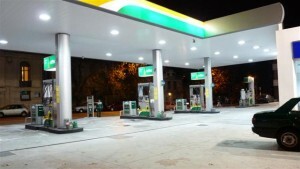 We offer new fixtures or retrofit kits. Many common sizes are in stock and ready to ship.